As I've mentioned before, our pond is for SWIMMING, but we were dealing with constantly cloudy water caused by both silt from the sandbags, decaying plant matter and excess algae, so to actually use the pond this summer we needed to do something quick! First we removed the cannas - they weren't very happy with their roots continually under the water. We planted them in the border of our landscaping and replaced them with some reasonably priced small water lilies we found on Craigs List to help keep the water shaded. As for filtering, running our regular pool filter works fine for the short term, although the water pressure sent out through the waterfall is pretty strong, which the water lilies don't like, and Jim has to pressure wash the pool filter regularly to remove the particulates, which Jim doesn't like. 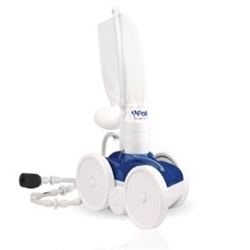 We run our pool pump most hours of the day to keep the water circulating and oxygenated. Our intermediate term plan is to build a bio-filter and install a pond pump with a UV light, which is much more efficient and less costly to run, but we don't want to jump in and spend money before we are absolutely sure what kind of filter we want to build and the size pump we'll need. So, to tackle the cloudy water issue in the short term, I spent a bit of time researching online in various pond forums to see what other people do for their man-made koi ponds to keep the water clear. I found some advice in a forum on American Ponders posted several years ago that seemed like an affordable fix. One person went to a fabric store and purchased Nu-foam, a type of densified polyester used to make pillows and seat cushions, and fit them into his pond skimmers to trap algae. 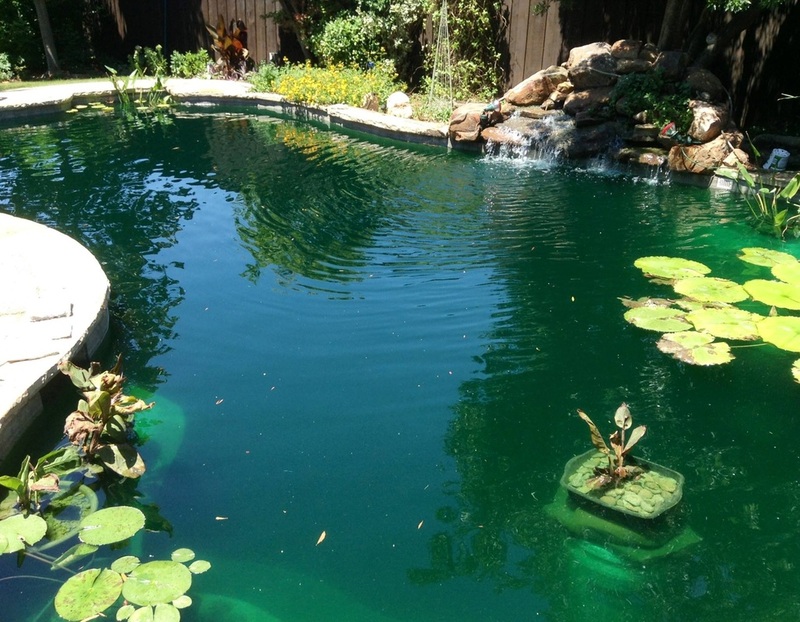 He said that he rinsed them out twice a day at first, and that after a few days his 3,000 gallon pond was clear! To keep it clear, he continued to rinse them once per day. I liked this idea because while you can purchase all kinds of additives to reduce algae and clear water, it costs money on a regular basis and adds chemicals, which is what we're trying to get away from. I went to our local Hancock Fabrics and found Nu-Foam on sale for 50% off, so I chose several 16"x16" squares that were 1-inch thick. We cut them to fit our skimmer baskets and piled them in. Jim took on the job of rinsing and replacing them and after the first day, we found them to be bright green with trapped algae! The 1-inch thick Nu-Foam started to get a little raggedy early on, so we went back to Hancock Fabrics and purchased the 2-inch thick squares. They work just as well and seem to hold up better under the regular rinsing. After nearly a week of switching and rinsing out our Nu-Foam twice per day we found our water becoming incredibly clear! Now we maintain it by changing them out every other day and it's still working well. Almost too well, in fact! Our Comet goldfish have eaten much of the algae from the sides of the pond and they've tripled in size since we put them in six weeks ago! The major component of their diet is supposed to be algae, so we're debating on the bio-filter right now. They will get upwards of 13" long - that's a LOT of algae to keep them fed! 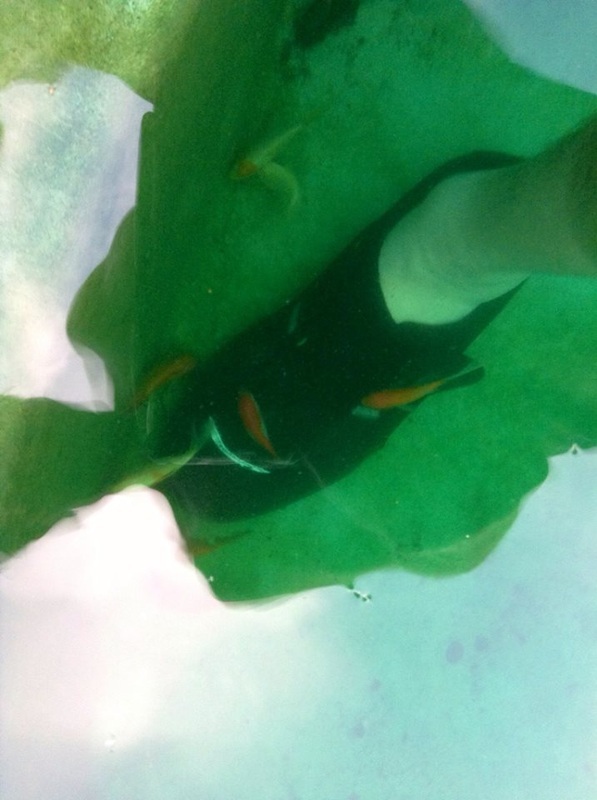 I began supplementing their diet with floating food pellets last week, which they love. We've already taught them to come to the shallow end to eat so we can keep track of them every day. They already know us and swarm around our feet whenever we come into the pond! Some of our smaller fishies! It took approximately 6 weeks for the chlorine to be completely gone from the pool. During this time we ran our pool pump most of the time to keep the algae down. Still our water changed to a dark shade of green with visibility near zero. We decided to add some plants first so we purchased several cannas from Lowe's to try out and a large, hardy water lily from Creative Water Gardens in Garland, near our home. We also purchased 10 mosquito fish there to help keep the mosquitoes in check. I really wanted to buy more because our "pond" is huge, but they convinced me not to waste my money. Apparently mosquito fish are the bunny rabbits of the fishie kingdom. They were right, by the way! We've had tiny fry every single day since we brought the first 10 home! Not long after that we purchased 50 feeder Comet Goldfish from Petsmart at $.22 cents each. 2 didn't survive the trip home and over the next several days we lost about a dozen - some from the bottom drain suction, which we fixed by adding large rocks over top to keep them away, and some for no reason we could discover. After 3 weeks of no more deaths, we decided to add 40 more. We have had NO fishie funerals since! Our son Colin getting his sand on! This is approximately at the halfway point of filling sand bags. We decided that adding a plant shelf in both the shallow and the deep end would be a good idea. After propping the water lily on rocks and crates, we knew we'd need a better solution if we wanted to add more plants. From what we read, most potted water plants don't go much deeper than 2-3 feet. Also, every bit of the interior of our pool is sloped, making it difficult for our make-shift pedestals to be sturdy. Remember, we wanted a SWIMMING pond and it's not a good idea to let people swim around rickety structures! So we chose to use sandbags to build our shelf. The idea was that they could be stacked and molded to fit the slope of our pool. This is our first batch of 100-50lb sand bags. We filled them with clean cushion sand that we had delivered, which cost a little over $100. The sand bags came from Amazon at $30 for 50 bags. Jim started in our shallow end and it was no easy task due to the slope! We wound up with Mt Fuji - wide base at the bottom for an itty bitty level ledge at the top! 100 bags wasn't nearly enough for the shallow end, and we still had more than half of the 9 cubic yards of sand left! So we ordered another 100 bags, filled them and added them to the ledge. After 200 sand bags in our shallow end, it was apparent, to me at least, that sand bags would not be the greatest option to make a ledge in the deep end! We will figure something else there. Surprise! We're getting a pond! From Erik's Pool to Pond page. So now I'm thinking this pond-thing just might be doable! Further research into converting our 20,000 gallon swimming pool into a swimming pond took me here, here, here, here and finally to Erik's Pool to Pond page. Erik lives in Oregon and he restructured the interior of his pool using sand bags, soil and a pond liner to reduce the water volume and to make shelves for plants. His goal wasn't to swim in the pond but I found his page the most helpful in terms of construction ideas, photos of the steps and information on how to build a bio-filter (more on that later). Armed with this information, I approached Jim with the great news that we were converting our swimming pool to a swimming pond! You can imagine that a man who had just spent the last several weeks painstakingly working to make your pool water look the exact opposite of a pond, in the ferocious Texas heat, wouldn't think too highly of the idea. But my husband is a reasonable man. He also knows that I can be a bit mule-ish when I get a (brilliant) idea into my head, so he read the websites I sent to him. He stopped adding all chemicals to the pool the very next day and we continued our research. We needed to learn about water plants, bio-filters, fishies compatible with Texas weather and pond pumps. I have to admit I was more than a little envious of my dear friend whose husband was stationed in Guam - they could just step into their back yard, aka THE OCEAN, and be surrounded by fish, octopus and coral. The only problem with living on a beautiful island is the not-so-beautiful hurricanes that inevitably come with it. Not to mention the high cost of living, being far from the family, etc, etc. 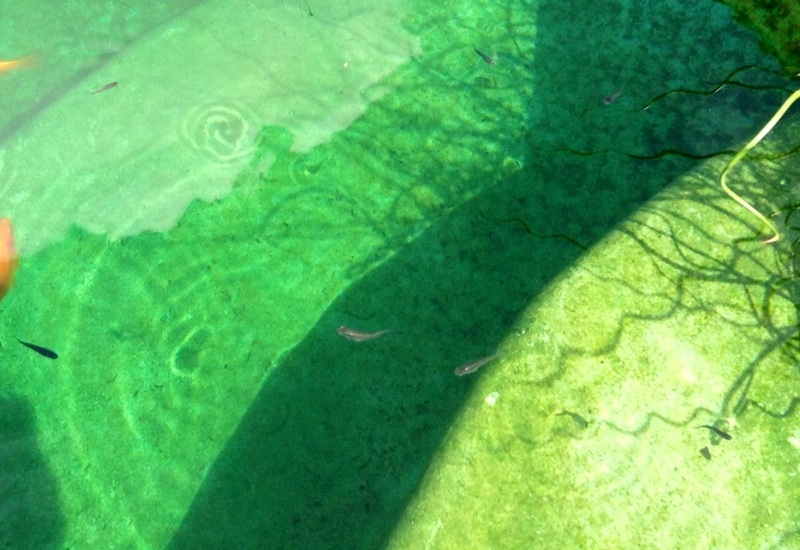 Wouldn't it be grand to just go in your own backyard and swim with fishies? I love my neighborhood and my friends, so moving wasn't really a consideration. Once in a while I toyed with the idea of somehow adding fish and plants to our swimming pool. 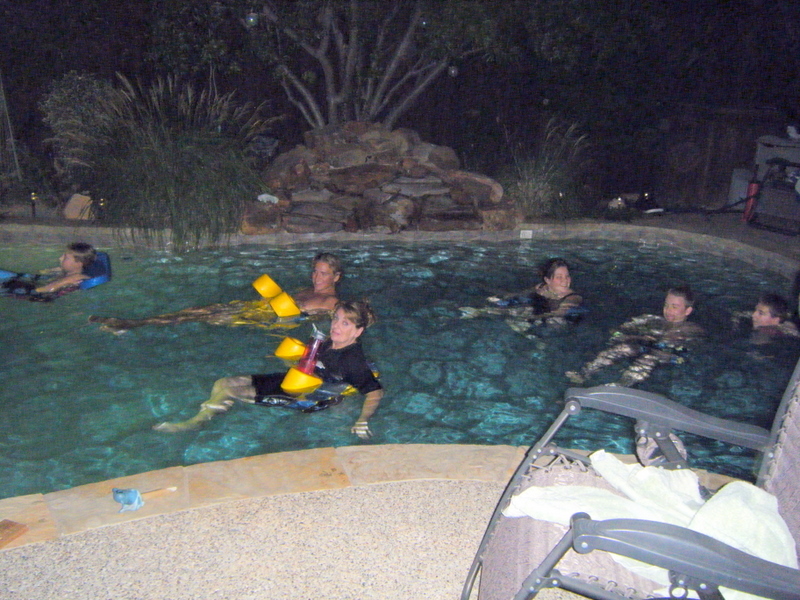 In late May 2013, after Dylan's 16th birthday party by our lovely pool, which beforehand took several weeks of adding chemicals and vacuuming to turn from pea soup to sparkling blue (dead) water, I revisited the idea. This time I performed a Google search to see if it were even possible, not to mention affordable. The first link I clicked on was the Ku-ring-gai Council's Pool to Pond webpage. This local government outside of Sydney, Australia has been "assisting local residents to convert their unwanted swimming pools into ponds since 2007 by supplying native fish, aquatic plants and technical advice for the conversion." I dashed off an email to them to ask for advice in converting our 20,000 gallon swimming pool into a swimming pond. Those points sounded like an excellent argument for conversion to me! But, has anyone in the US done it successfully? Does it take a long time for the pond to naturally sort itself out and become self-sustaining? What if we still want to swim in it? How many plants does it take to keep the algae down and the water clear? Do we need any special equipment? How do we make a shelf for the plants to sit? So many questions! Snorkeling - A Love Story. 5 of the 6 Razinha and Davis clan snorkeling in a cenote in Mexico. My family loves to snorkel. We really do! I first was introduced to snorkeling when I took my older 2 sons, Brandon and Colin, on a vacation to Queensland, Australia when they were preteens. We rode on a catamaran to the Great Barrier Reef where we learned the basics and then were left to ourselves the entire day. Once we got the hang of it, it was almost impossible to drag us out of the water! We saw giant rays, beautiful corals and an assortment of colorful fish. We were hooked! 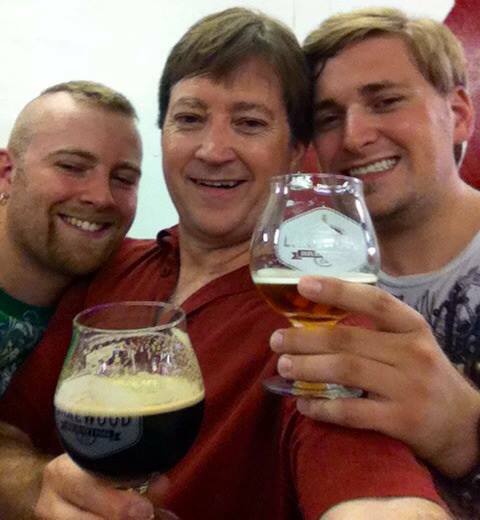 It took a while before Jim and the younger two got their chances and we flew to Mexico for their first experiences. Akhumal, on the Mayan Riviera, is our hands-down favorite place to snorkel with sea turtles and the cenotes nearby offer amazing coldwater cave snorkeling. Jim and I also had the chance to snorkel offshore of Roatan in the Honduras. It boasts the 2nd largest barrier reef in the world and it's accessible right from the beach! Jim and I soon found that our idea of a vacation is going somewhere warm where we can stick our faces in the water to look at fishies. Since we live in Texas, that means we have to travel, sometimes at great expense, to do that. What I know for sure is It makes ME happy to see Jim so relaxed looking at fishies. Due to my business ventures, it has been very difficult for us to get away for a snorkeling vacation, both time-wise and money-wise. We managed to hit Key West for a few days (so-so snorkeling offshore) for our anniversary last year, but I knew we were desperate for some fishie face-time when I saw Jim following The Polaris (our automatic pool cleaner) in our pool with his snorkel gear on! The Polaris - Jim's first fishie! So, we live in Rowlett, Texas, a wonderful quiet suburb of East Dallas. When we were searching for our home from South Korea, where we were stationed as a military family for nearly 7 years, one of my many criteria was that the house already have a beautiful pool. As you can see, our home definitely has that! 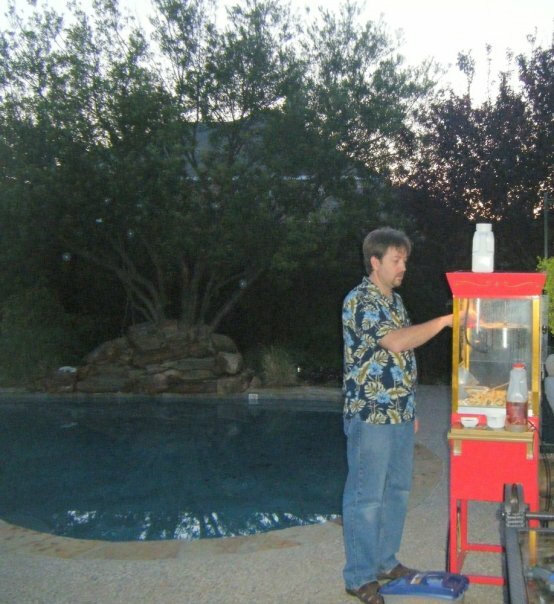 We moved to Texas in early 2007 when my youngest two sons (we have 4!) were small enough that the pool was a paradise with plenty of room to splash around and play for hours. Our family used it nearly every day at first but the novelty began to wear off with the Texas hot summers making the pool feel like a giant steam bath. Then we got the idea of adding an outdoor theater component! We had dreamed of being able to watch movies outdoors for a long time so I scoured home theater websites and Craigslist to purchase the inflatable screen you see in the photo, outdoor speakers and a sound system. 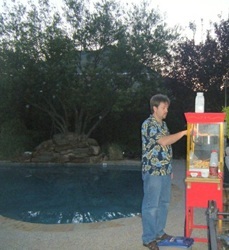 Our pool saw a flurry of activity again with the addition of portable fans, floating chairs, reclining loungers, outdoor lighting and a popcorn cart. We invited friends and family often for action flicks under the stars. Thankfully the homes in our neighborhood are relatively soundproof and we have a Mosquito Magnet that works wonderfully well to keep those pesky little buggers away! We were able to lengthen the movie season through the fall and early winter with the addition of gas heaters and blankets. As you can imagine, setting up and breaking down our movie system takes a bit of work and planning, as does maintaining our beautiful pool. As time went on, we found ourselves holding fewer viewing parties just because of the effort it required to prepare everything and then put it away. 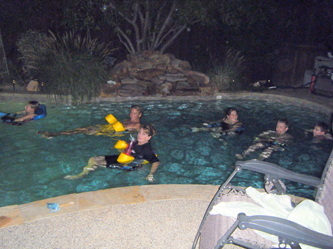 And so, as the boys got bigger and the pool seemed smaller, we all used the pool a little less frequently. That didn't change the amount or cost of the upkeep, however. Some years we battled the invasion of a nasty yellow algae, dumping loads of chemicals and money into the pool trying to keep it clear. Jim and I would spend many hours skimming and vacuuming the pool in the dripping heat, working to clear the water. Our automatic cleaner, The Polaris as we call it, needed frequent tune ups and new parts, usually at $100 a pop for Jim to fix it himself. All of that work and money - just so no one would use it! 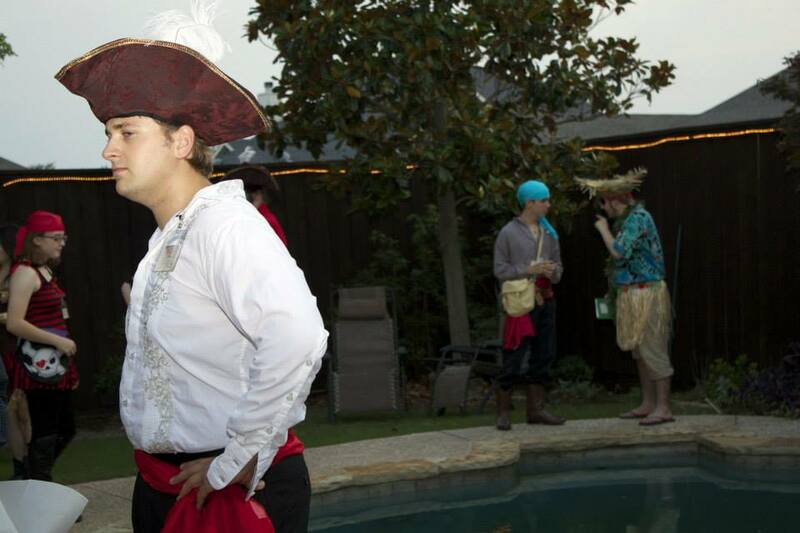 As featured in Dallas Morning News NeighborsGo! Be sure to check out our photos and video! I am a mixed media artist, sculptor, publisher, a homeschooling mom and NEW POND ENTHUSIAST living in a suburb of East Dallas. I use mostly recycled and re-purposed materials in my work, which I think goes hand in hand with turning our time and chemical-consuming 20,000 gallon swimming pool into a beautiful natural swimming pond! This blog shows our journey of how we did it and our progress as we learn to make our pond self-sustaining.